Hey guys! 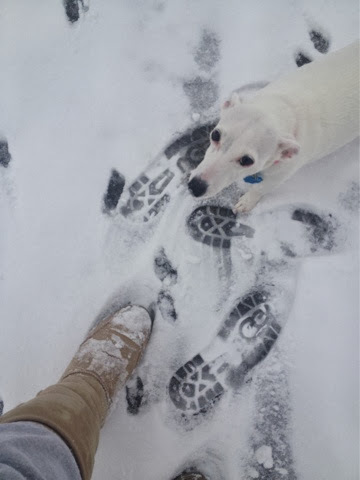 I know it's funny I do a spring style post on such a cold and snowy day! 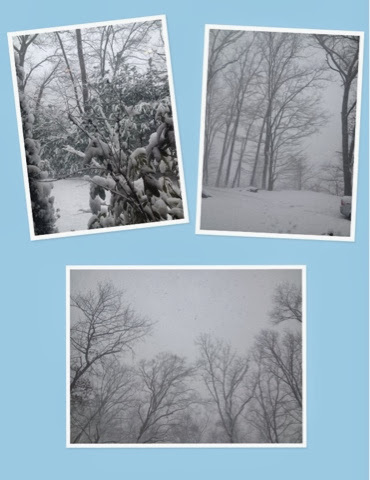 It's like a blizzard here and so beautiful. 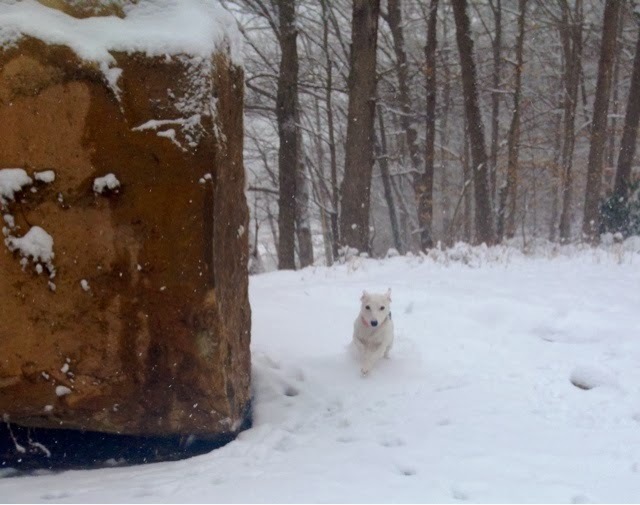 We have been out enjoying it some, but the colder it gets and the snowier it gets, my dogs aren't having it lol. 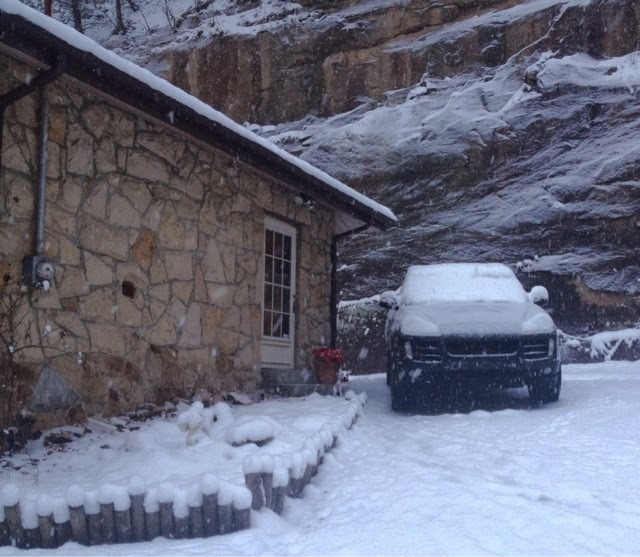 We've got over half a foot of snow, and it's still pouring. So beautiful, quiet, and peaceful. 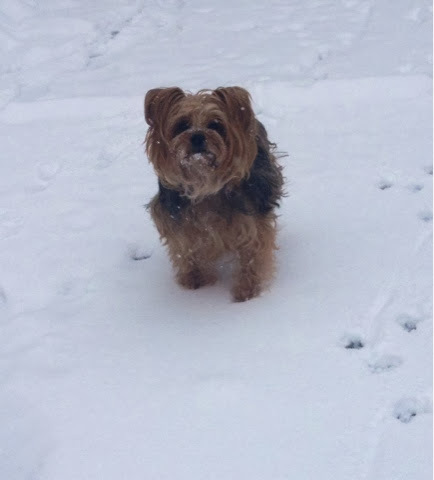 Darcy with her snowy face this morning. Anyways, I've been going through my stuff and putting things aside for spring, and thought I would share it with you to give you some ideas. Of all the places I have traveled in this world, the most beautiful to me is the northeast part of the country: Martha's Vineyard, Nantucket, Cape Cod, etc. There's such a laid back elegance in that area, and I simply adore it. The simple beach look, with boat shoes, khakis, other nautical inspired attire in rich navy, red, and white. It's truly one of my favorite looks and so easy to do. Basically it's just mixing up those 3 colors (navy, red, white) and playing with prints (anchors, etc). 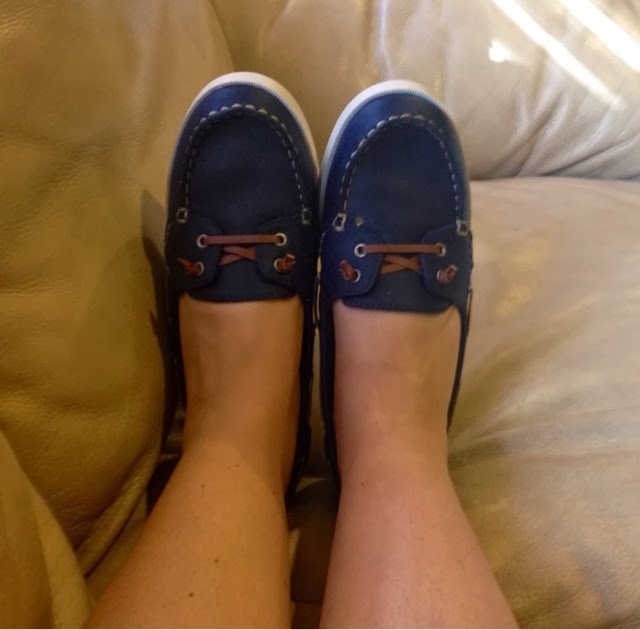 I have a few pieces in my wardrobe (old and new) that will give you an idea on just how simple a nautical inspired wardrobe can be! 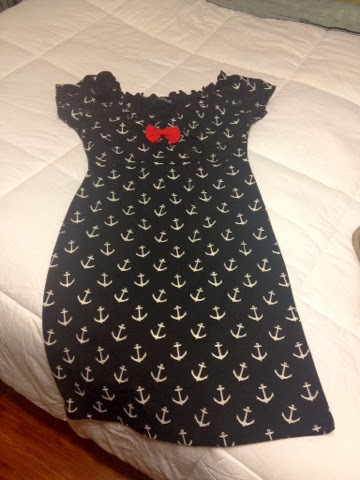 Cute little anchor dress I got at a boutique online. 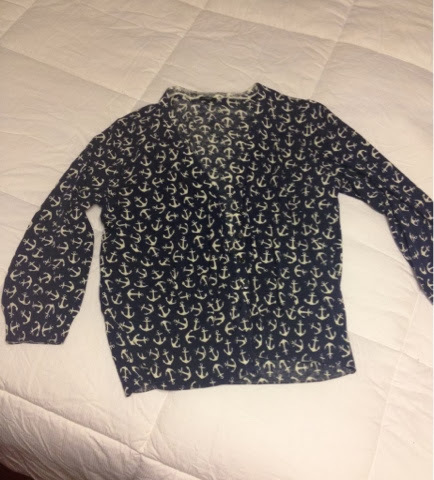 Lightweight navy and white anchor cardigan by JCrew. 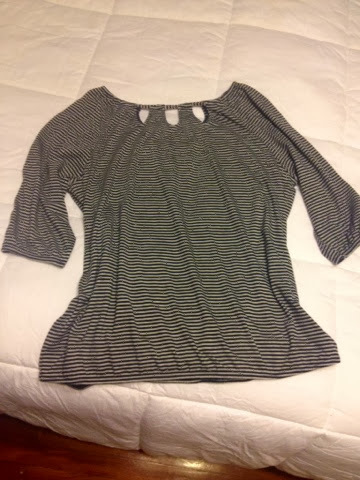 A boatneck top I found at Walmart. Love the 3/4 sleeves. Pair this with a pair of cropped red pants and you're set. Another top I purchased at Walmart. It's lightweight and feels like linen. Linen is such a great fabric for spring and summer, and very popular in beach clothes. 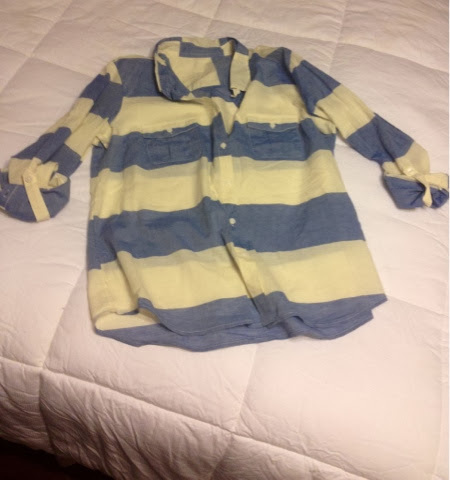 Again, pair this with some red cropped pants or red shoes (I will show you in a minute) and instant nautical inspired outfit. It's that simple. 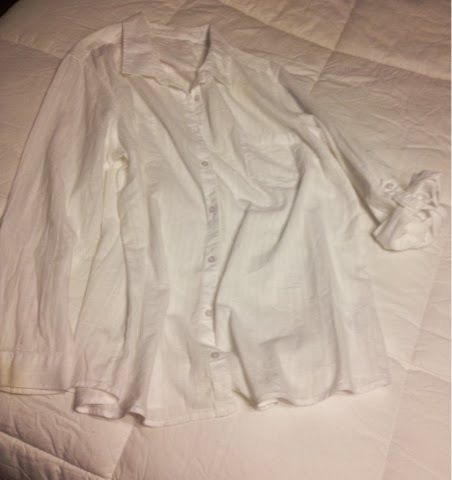 White linen top. Shown with one sleeve up and one sleeve down. 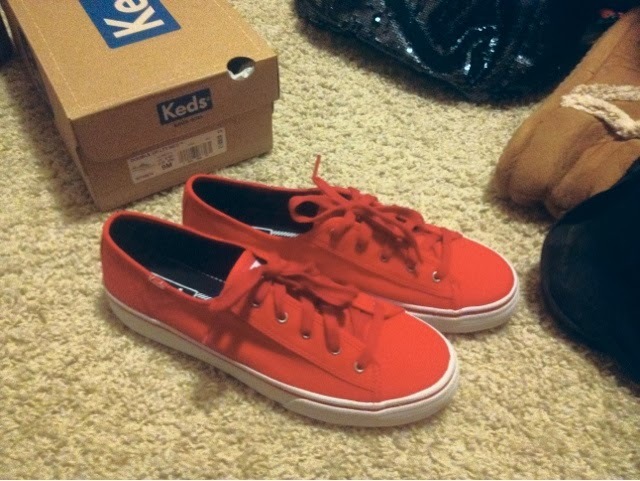 Perfect to wear with navy pants, red pants, or even denim. Throw on some boat shoes and you're done. 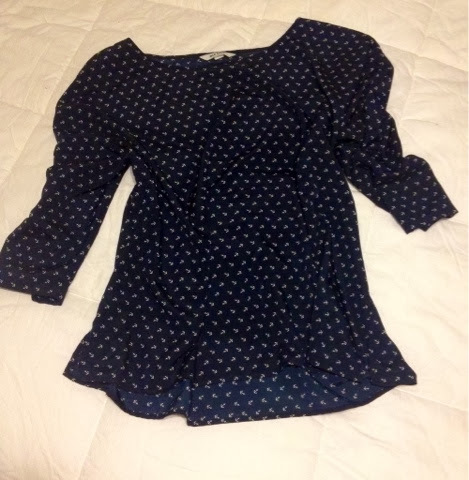 Really pretty silky navy top from Old Navy with little white anchors. 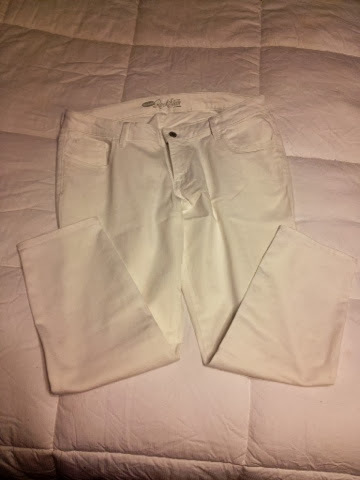 An example of a great spring pant. (Hope you can see them against my down comforter, lol). These are the Rockstar cropped pant by Old Navy. Stretchy and comfortable, thin and bright for spring and summer. They are fairly long, they don't come all the way to your ankle, but close. 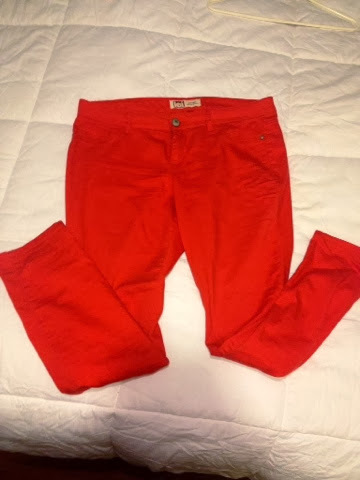 Example of a good pair of red pants. These are LEI skinny jeans. They're not cropped, but you could always cuff them. 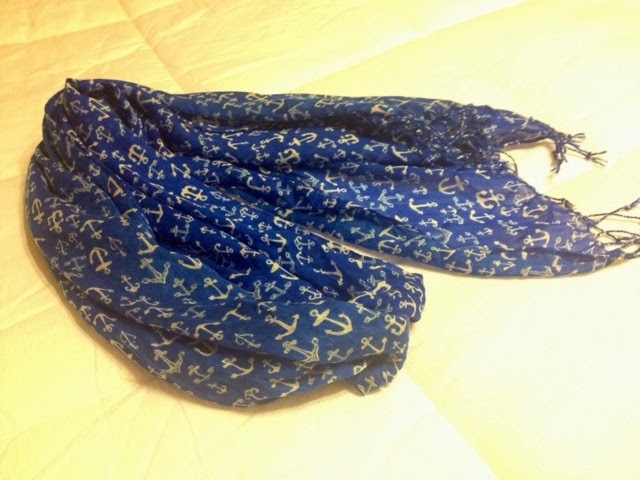 Great lightweight scarf from Old Navy. 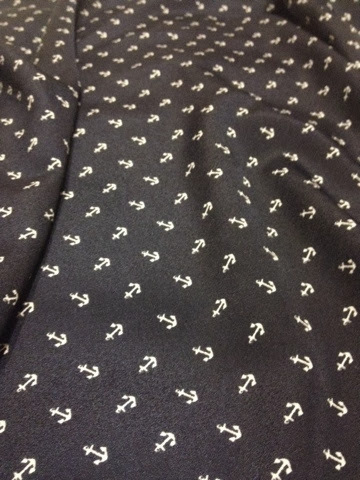 It's a beautiful bright blue with white anchors on it. Definitely a different shade of blue for something like this, you usually see navy. But really pretty and bright for spring. 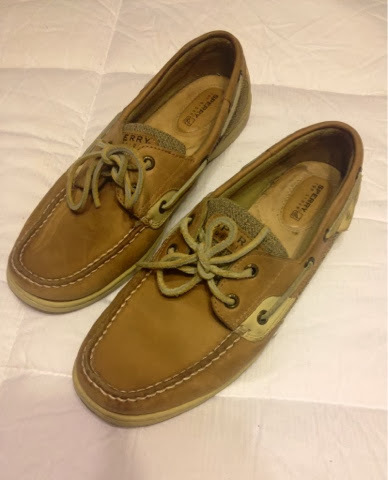 As far as shoes go, you can't go wrong with Sperrys. 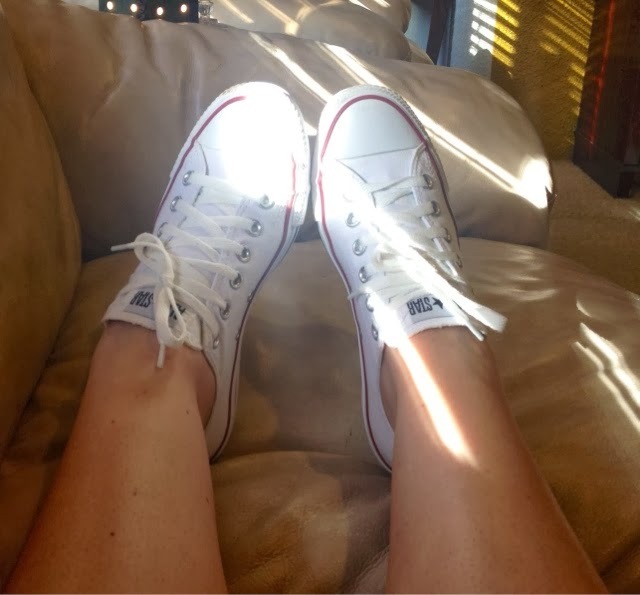 For bright whites you can't go wrong with classic Chuck Taylor's. 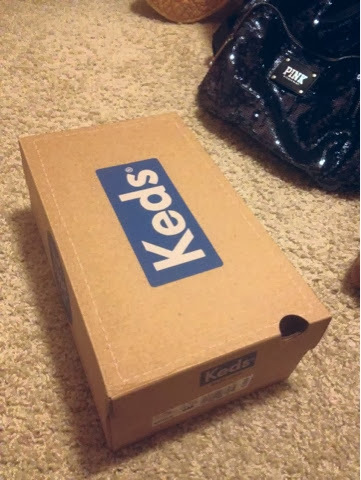 Plus, they have a navy stripe and a red stripe around the sole. So cute! 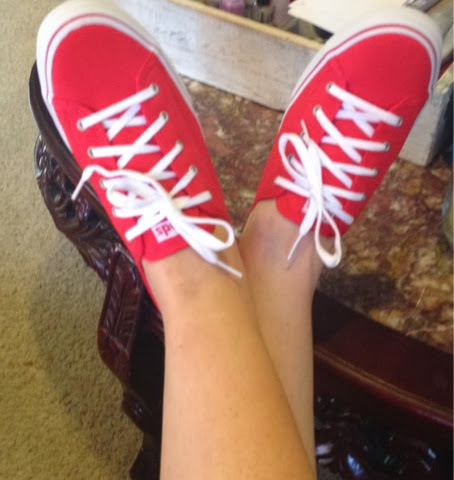 Red Keds à la Taylor Swift! 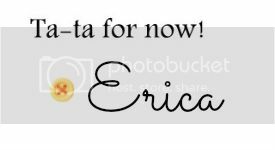 So simple and cute. You get two pairs of laces, I definitely prefer the white ones.